The stunning look that our glass balustrades produce is hard to beat but, because it’s glass, some people have concerns over safety. We’ll also talk about keeping the glass clean. Let’s start by looking at keeping it clean. 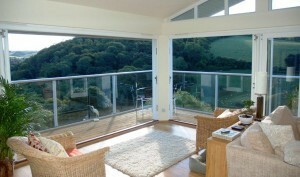 The aluminium handrails come in different coatings, which in all cases just wipe clean with soap and water. You don’t need any chemicals or abrasive pads as these will damage the coating. This makes our systems much easier to keep clean than Stainless steel systems, which tarnish over time. The glass, like any other glass, can be cleaned in the normal way but, in an outside environment, dirt build-up will still occur. So, if you want to reduce your cleaning by between 50 – 90%, you can have the BalcoNano® self-clean coating added to the glass. 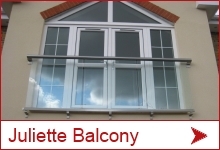 At Balconette we use toughened glass for our balustrades, but what is toughened glass, how is it different from normal glass and how does it make the glass safer? These are just some of the uses, which demonstrates how safe it is. As many of us know from experience, standard glass when it breaks, if not treated with the greatest of respect, becomes a pile of ultra-sharp shards waiting to cut. It’s also easier to shatter than toughened glass because toughened glass is four to five times stronger to impact than standard glass. Without getting too technical, the glass is processed by controlled thermal or chemical treatment, which generates different tensions on the surface of and within the inner section of the glass. These tensions not only give the glass greater strength than standard glass, but ensure that if it should receive an impact great enough to break it, the glass shatters into tiny pieces making it much safer than standard glass. 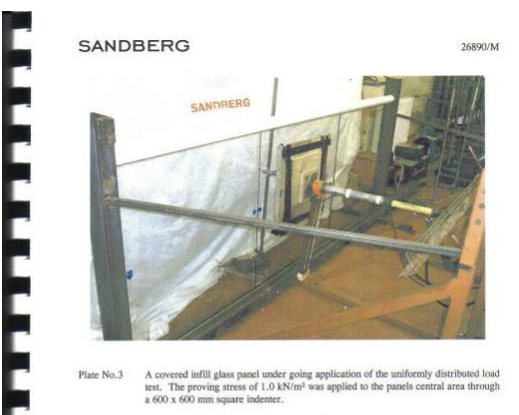 The tests were carried out by an accredited testing Laboratory called Sandberg, based in London. The results fully validate that our products meet all required standards, giving you total peace of mind. 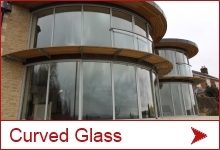 Toughened glass is a tried and tested product across multiple industries where it is used for its strength, safety and especially in our case, its ability to provide a stunning look and unobstructed views. 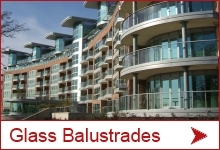 Add to this the ease of keeping not only the glass but the railings clean and you can “have your cake and eat it!” Overall, maintenance and keeping everything clean is much easier than with other types of balustrades. If you still have questions feel free to email or contact us by phone.